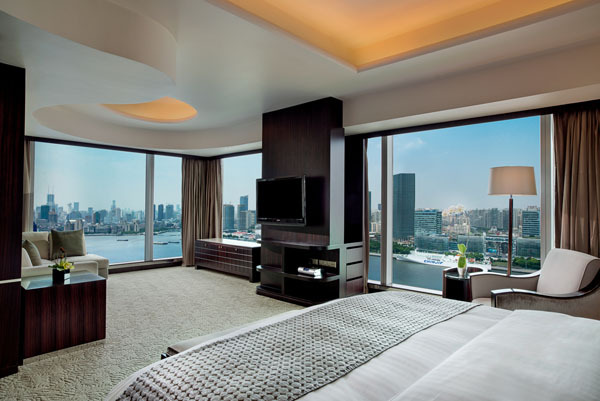 Explore the cosmopolitan metropolis of Shanghai when you stay at the Grand Kempinski Hotel. Located in the heart of the financial district, Grand Kempinski Hotel offers stylish and modern rooms with impeccable views of the city that combines history with technology and innovation. 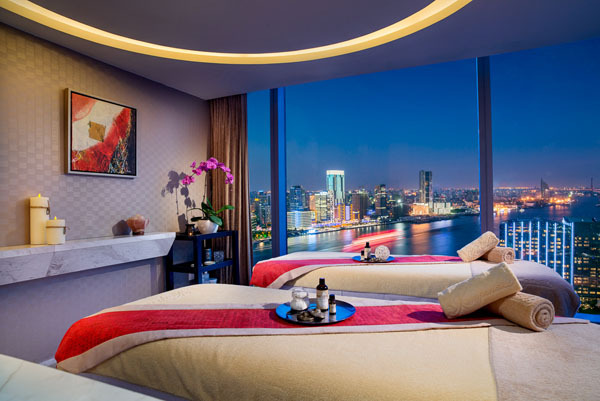 Its proximity to the city center and easy access to hidden gems scattered across the port city make Grand Kempinski Hotel Shanghai the perfect hotel for all types of travelers. Grand Kempinski Hotel has nearly 700 rooms and suites, all with contemporary designs and views of the city, that can accommodate up to 720 guests. 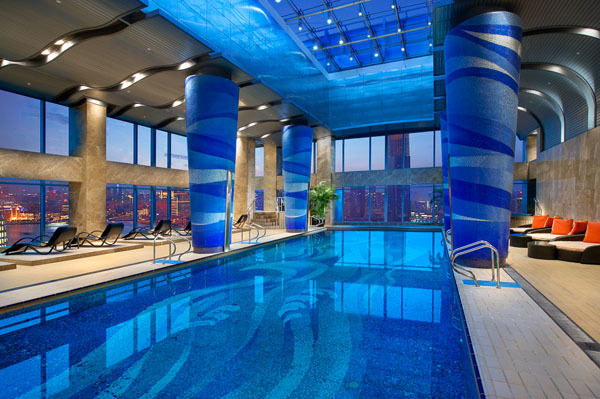 Whether you are traveling for business or leisure, Grand Kempinski Hotel makes your comfort their top priority; the hotel even has a health club, which includes a spa, a state of the art fitness center with a panoramic view of the skyline, and a sizable indoor swimming pool. In addition to a work desk in each room, Grand Kempinski Hotel also has a business center that offers equipment and a meeting room. The hotel is perfect for business conferences, corporate retreats, weddings, and other private events as it has a grand ballroom as well as 11 additional function rooms. After a long day of meetings or exploring the beautiful city of Shanghai, guests can dine at the restaurants on site, serving Chinese, Italian, Spanish, and contemporary international cuisine; Grand Kempinski Hotel has four restaurants and three bars, all with internationally trained chefs, from which guests can choose. Although it is more well known for being an influential financial hub, Shanghai also has a rich culture that visitors of the city should try to explore. 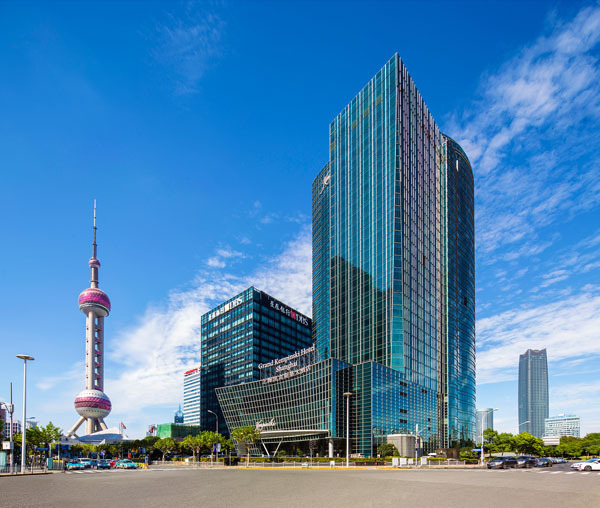 Grand Kempinski Hotel offers guests easy access to public transportation to sites such as the Zhujiajiao Water Towns, which is considered as Shanghai’s Venice or Nanjing Road, the world’s longest shopping district that is nearly three and a half miles long. Guests of Grand Kempinski Hotel should try to make their way to the Former French Concession, rich in both beauty and history, is known for its tree-lined avenues, colonial architecture, and hip cafes and restaurants, bars and breweries, galleries, and boutiques. Grand Kempinski Hotel Shanghai is part of Kempinski Hotels, Europe’s oldest luxury hotel group known for personal service and hospitality. The luxury hotel group has 76 five-star hotels and residences in 34 countries and counting.